An ideal solution for partially damaged teeth at the back of the mouth. At Charisma Clinic we can advise the most suitable dental treatment to restore a tooth. 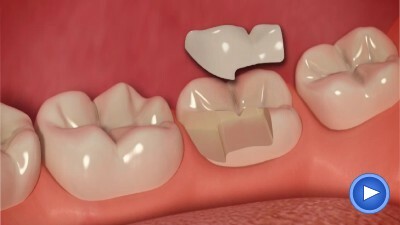 A white filling may not provide enough protection for the damaged tooth in question and a crown is not necessary if the overall structure is still intact. An inlay can protect the inside of the tooth and is made from durable material that will last for many years. 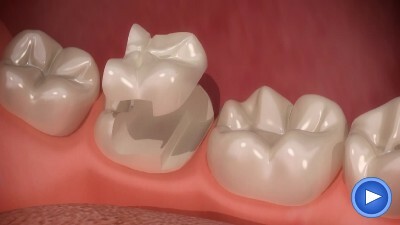 Onlays are used for the outside to reshape a chipped or broken tooth. The treatment starts with a local anaesthetic and our dentist will then prepare the tooth for an impression to be made. The inlay or onlay is then fitted and cemented into place before it is then finally cleaned and polished. The material can match the natural shade of your tooth so it is unnoticeable and the whole process can be completed in just one or two hours.